The monthly Welsh-language periodical of the London Missionary Society, which circulated among the Congregationalists. The periodical's main contents were articles on foreign missions and on the society’s activities. 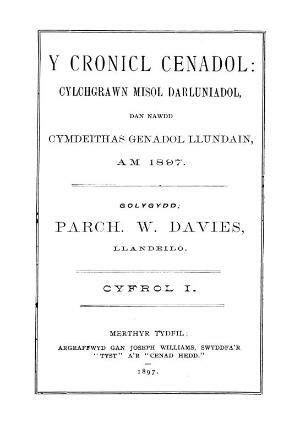 The periodical was edited by the Reverend William Davies, Llandeilo.